I often post book trailers, but the amount of trailers I pass along to you guys has declined a bit, mainly because I am a little disappointed in the quality of some, and bored with content of others. Daniel Nayeri, who co-wrote Another Faust and Another Pan with his sister, has a new book out this month, and to promote it, instead of coming up with a book trailer, he came up with four book commercials that I can't get enough. Straw House, Wood House, Brick House, Blow - Our Lady of Villains Commercial from Candlewick Press on Vimeo. Straw House, Wood House, Brick House, Blow - Wish Police Commercial from Candlewick Press on Vimeo. 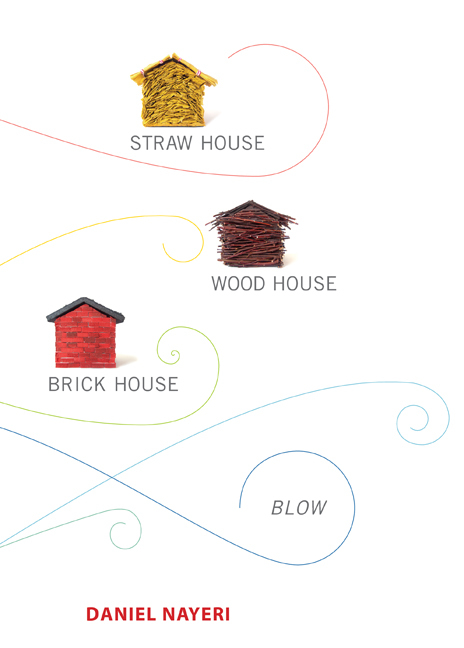 Straw House, Wood House, Brick House, Blow - Doom With a View Commercial from Candlewick Press on Vimeo. 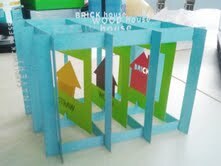 Straw House, Wood House, Brick House, Blow - Toy Farm Commercial from Candlewick Press on Vimeo. Awesome, right? I think the Wish Police video is my favorite. Well, if you want a chance to preview this one before it comes out, "Straw House", the first short story, is available as a free download! You can get a feel for Daniel's writing and learn more about the stories. The book releases on October 25th, so mark it on your calendar. I am excited for the release! And, to celebrate, Daniel has kindly offered to give away this neat mailer he had made to promote the books. He had one at BBC where I first met him in May, and trust me, it's really cool! You definitely want to win this. So, fill out the form below and let me know which trailer you liked the best, and you'll be entered to win! Prized and Caragh M. O'Brien! Looking Ahead: Sara Wilson Etienne and Harbinger! Revenge is Sweet: FURY Giveaway! Looking Ahead: Kiera Cass and The Selection!